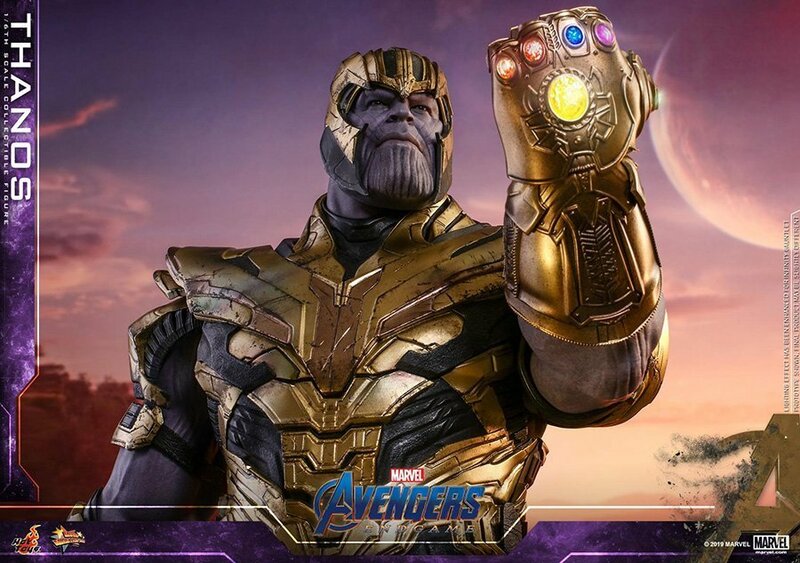 As of last year’s Avengers: Infinity War, Thanos is up 1-0 on Earth’s Mightiest Heroes, though in all of the Avengers: Endgame promotional material that we’ve seen over the last few months, the triumphant villain has yet to really make his presence known. 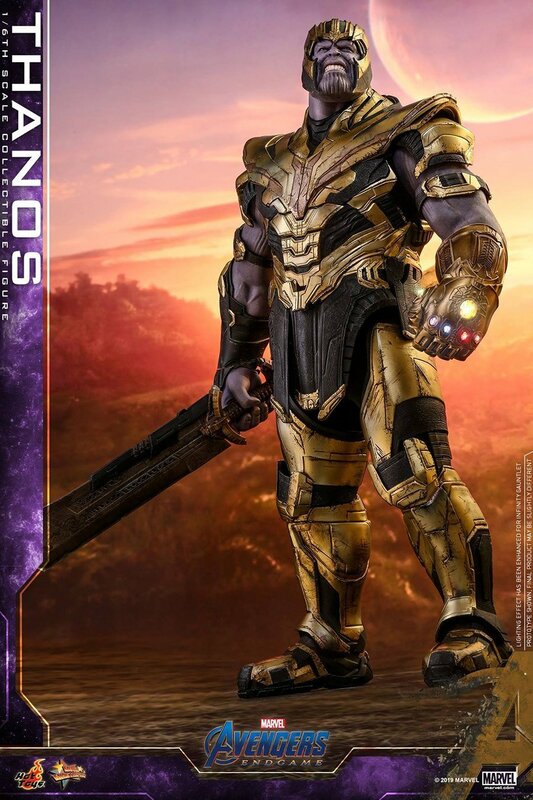 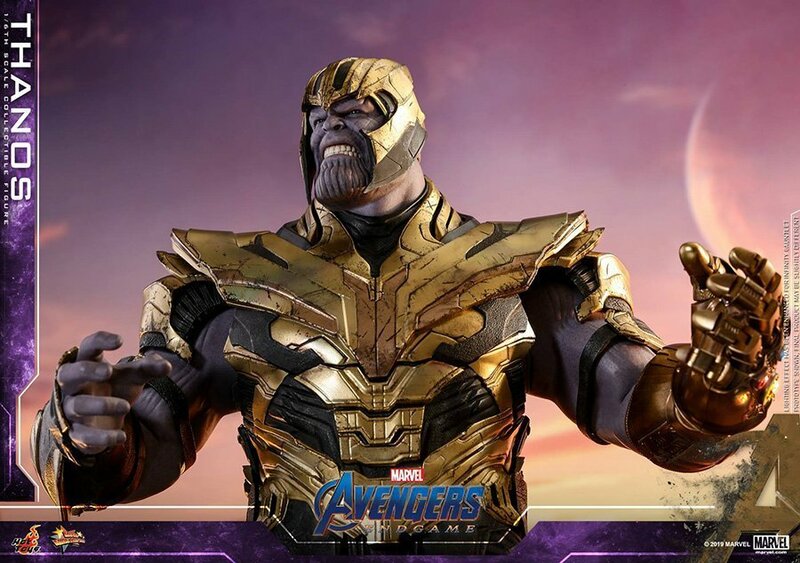 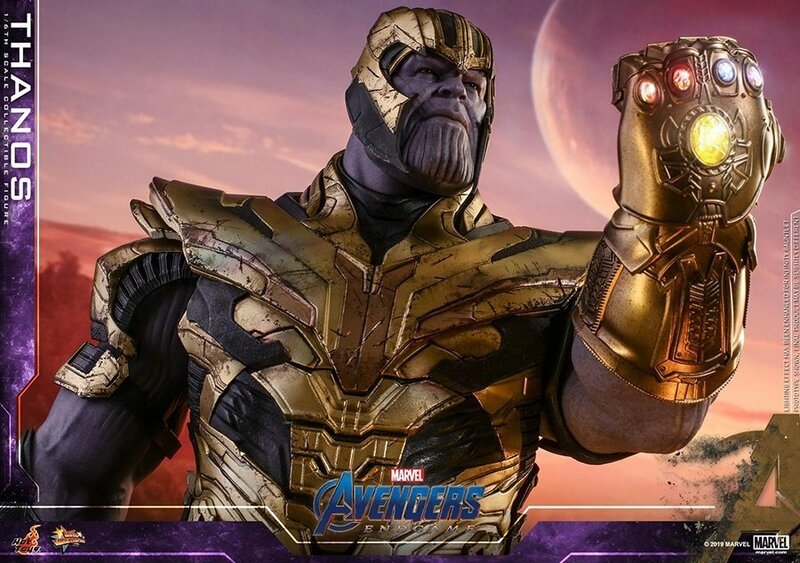 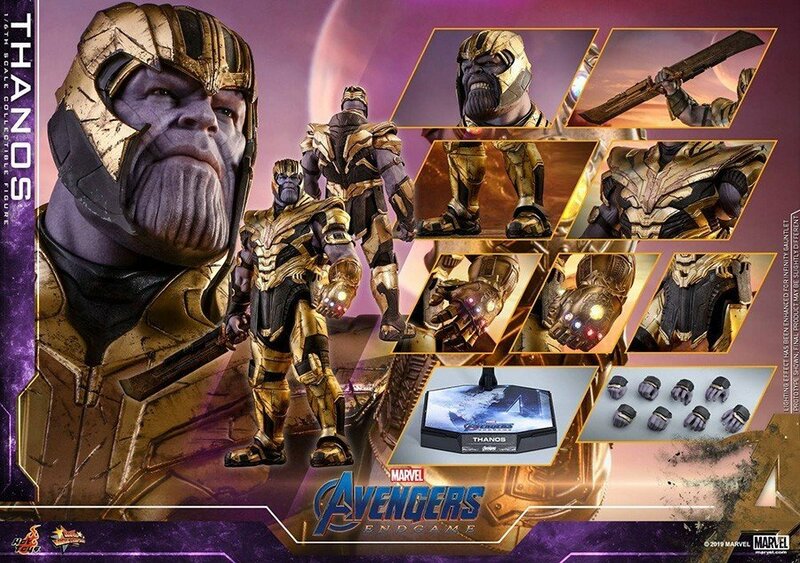 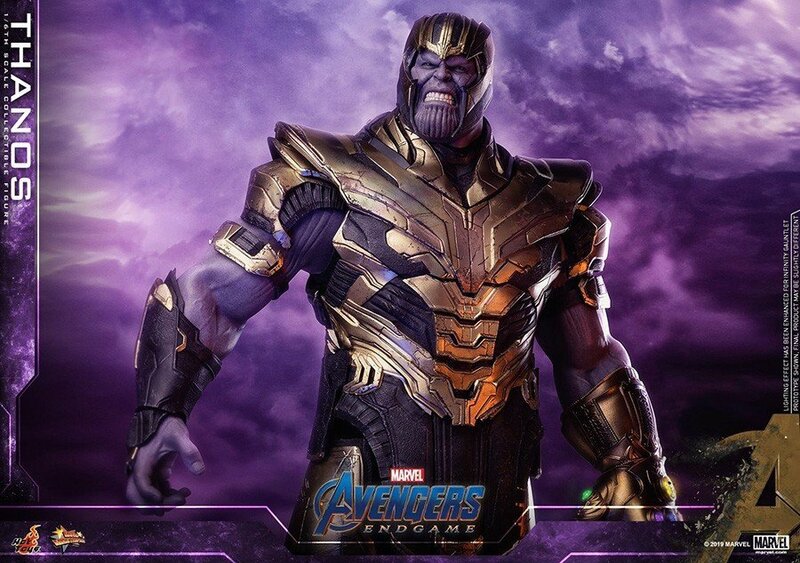 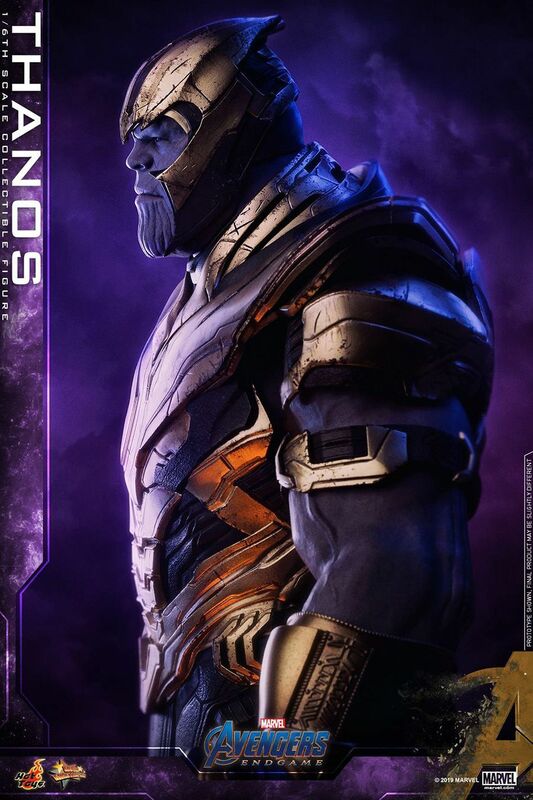 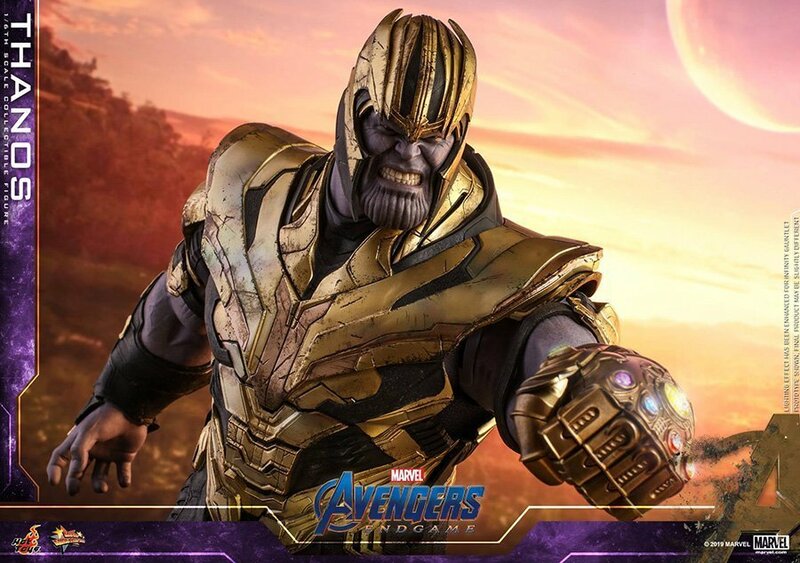 Thanks to this gorgeous new figure from Hot Toys though, the Mad Titan is on full display and boy does he look like he’s ready for a fight. 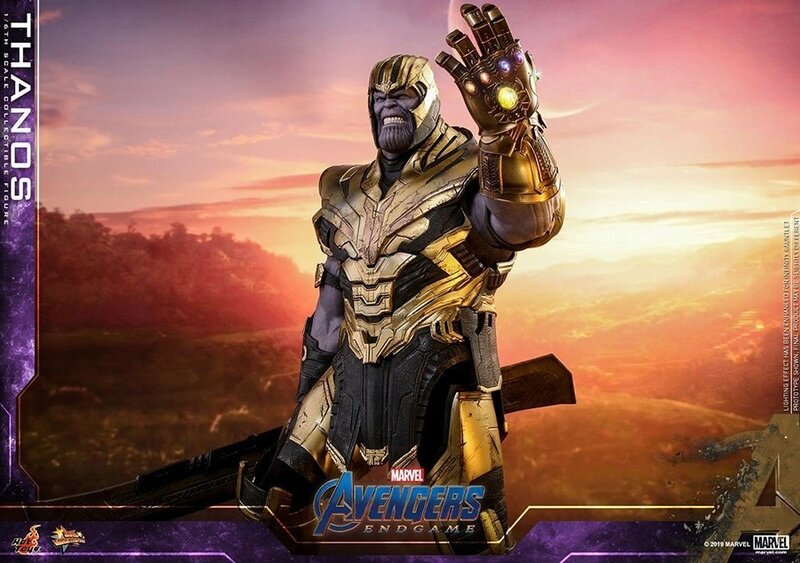 Donning his full armor, along with his shiny new weapon, and sporting a scowl that’s a far cry from the look of contentment we saw on his face in the final shot of Infinity War, the iconic villain has never seemed so menacing. 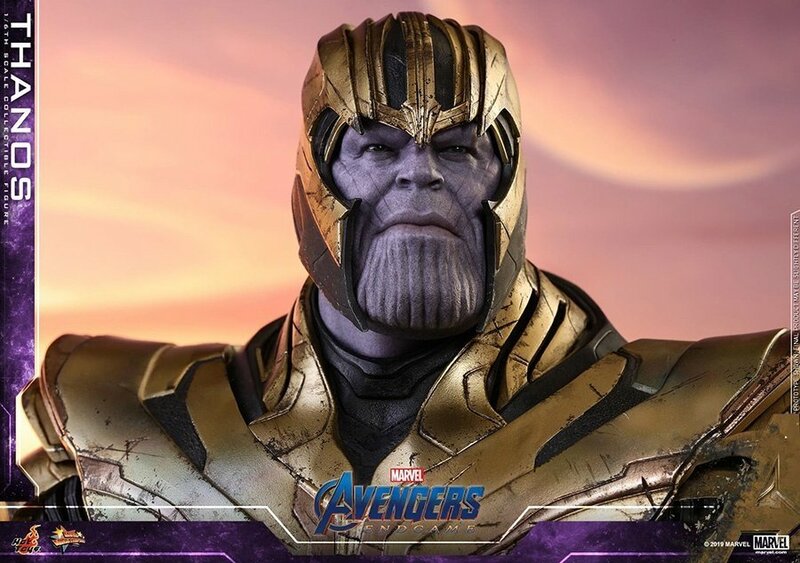 Indeed, this is the look of someone whose plan for a quiet retirement has been disrupted rather abruptly by a pesky group of heroes looking to reverse his actions. 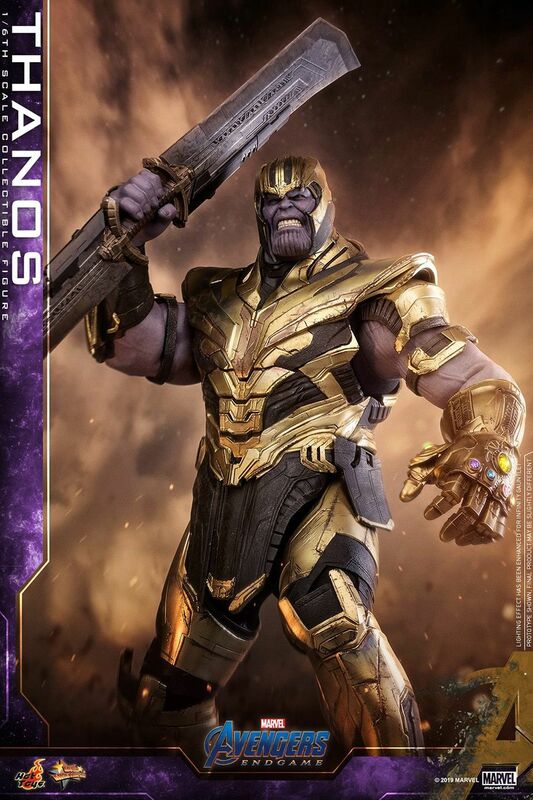 What’ll surely draw the most attention here though is the aforementioned weapon, as we get an incredibly detailed look at it. 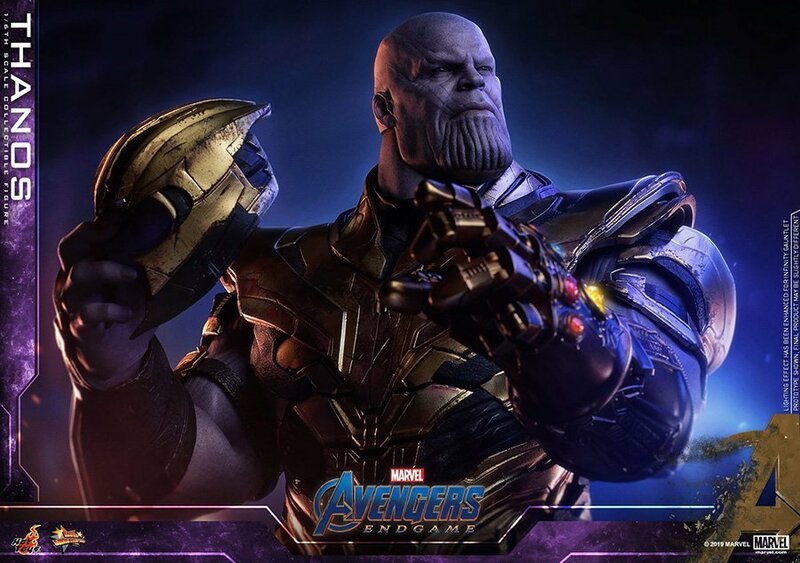 However, there’s unfortunately no information on where the Mad Titan finds it or even why he’s arming himself with it. 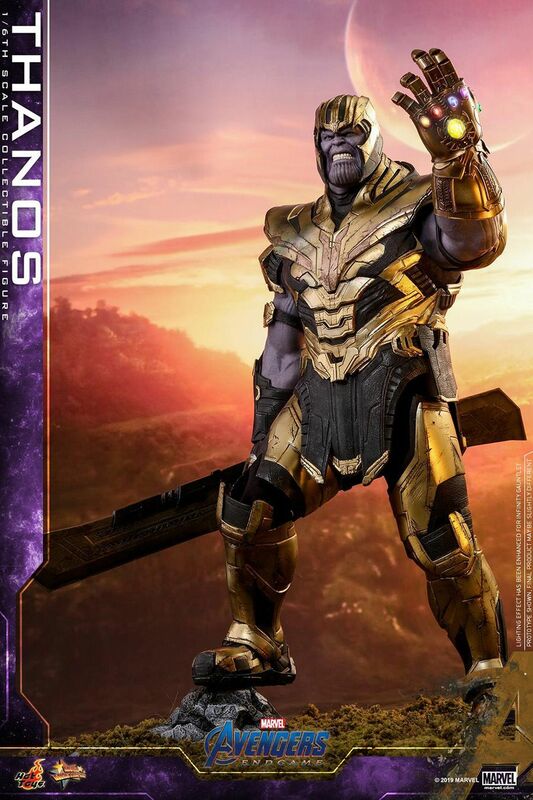 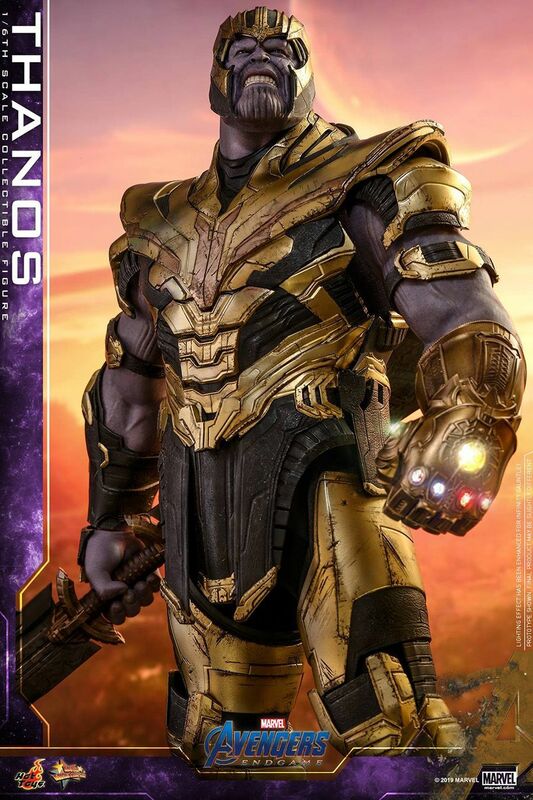 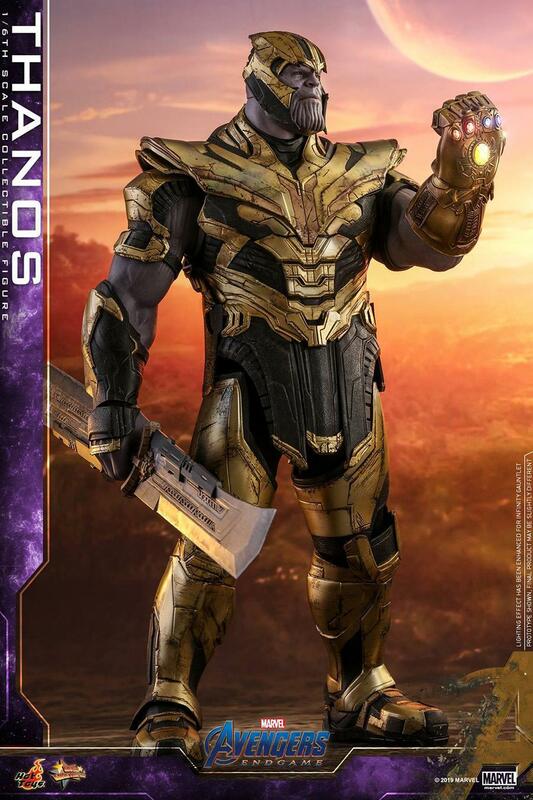 Perhaps now that the Infinity Gauntlet appears to be burned out though following the snap, he’ll wield this dangerous-looking double-edged blade to make sure that his dream of a balanced universe isn’t ruined. 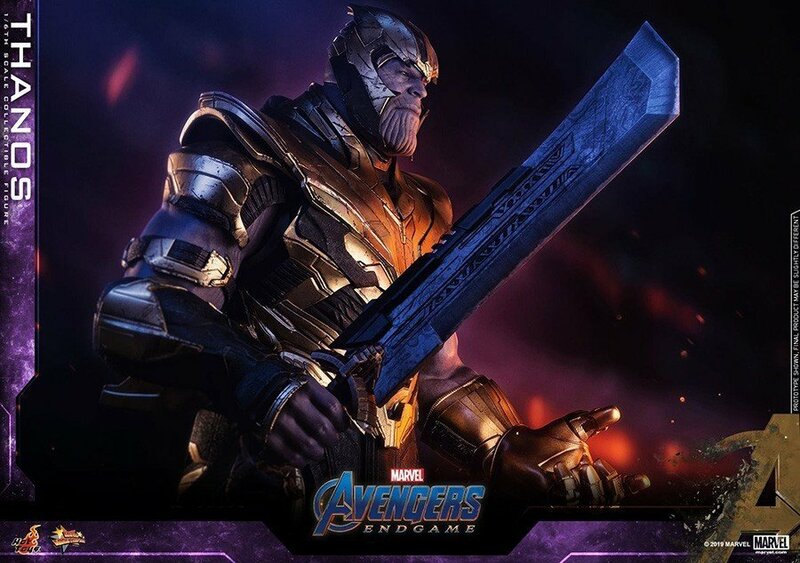 Going one step further, and some fans are even speculating that this could be a version of the Infinity Sword, a little-known weapon from Marvel lore. 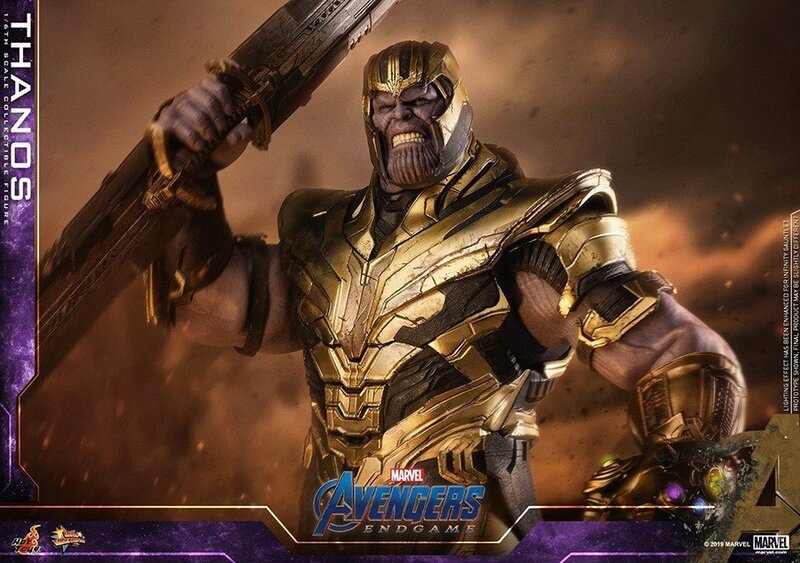 For those not familiar with it – and we don’t blame you if you aren’t – in The Superhero Squad cartoon, the Mad Titan combines the Infinity Sword with the Infinity Gauntlet to make himself even more powerful. 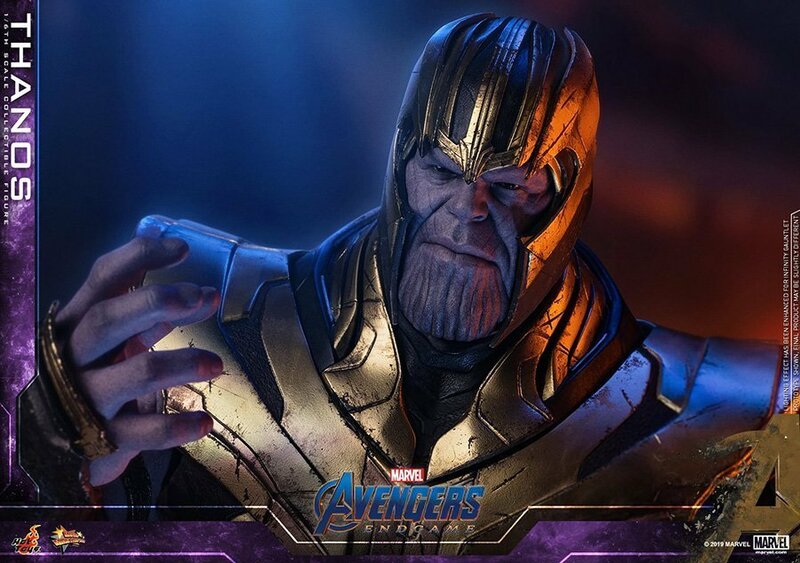 We can’t see the MCU drawing too heavily from that quirky, oft-maligned show, but you never know what the Russo brothers might have planned for us. 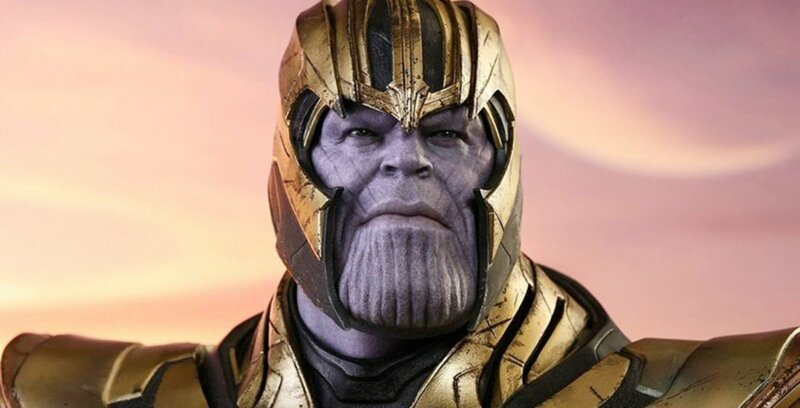 We’ll find out soon enough, though, as Avengers: Endgame will open big – and we do mean big – on April 26th.